Finished these socks the other evening. 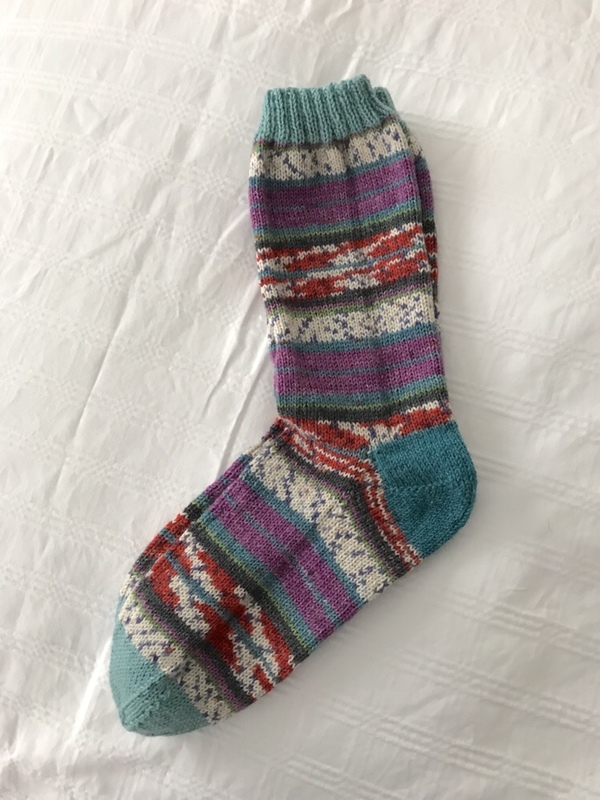 I used a yarn from New Zealand (Waikiki) that contains 10% possum, 15% alpaca – very nice yarn to work with – for the heels. I do hope it wears reasonably well – 20% nylon, it should. It would be a shame if it didn’t. The socks went into the stash; I started the next pair. They look beautiful. I love the contrast colour of the heel.